This article will zoom in on reporting solutions and spreadsheet design for organizations looking to enhance their experience with Sage. Every company needs a powerful, impactful financial reporting tool to remain competitive in their industry. Report writers help companies analyze and manage company data without leaving any issues or disruptions. Given how well-known Microsoft Excel is, it might be a shock that many people design their spreadsheets with no planning at all. This means that most spreadsheets have a poor foundation, which leaves room for potential problems. This article covers design and planning strategies with financial tools that are Excel-based, so you are able to better use your report writers to navigate your company in analyzing and managing your data using Sage. This article discusses reporting tools and best practices on spreadsheet design for companies looking to expand their Microsoft Dynamics 365 experience. Companies need powerful financial reporting solutions to help remain competitive in their industry by analyzing and managing their data without any issues or disruptions. Microsoft Excel is probably the most well-known spreadsheet software program that exists. Everyone has probably used it at least once in his or her life. However, many people often design their spreadsheets with no planning at all. This most likely means that most spreadsheets have a poor infrastructure and some room for error. 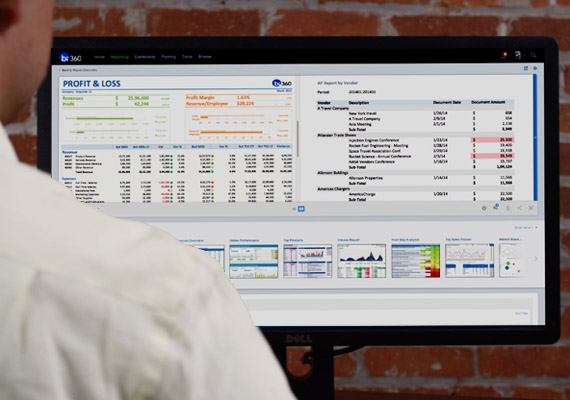 This article will explore how you can plan and design smarter with Excel-based financial reporting options, so you are able to better use your reporting solution to navigate your company in analyzing and managing your data using Dynamics 365. This article will discuss the process of preparing for a successful financial reporting implementation. In the modern business realm, you cannot avoid financial reporting. Whether it is a homegrown Excel process, a legacy software program, an independent software vendor (ISV), or a native enterprise resource planning (ERP) report writer, every company is doing it. Investing in your first modern reporting tool typically means automated financial statements, accessible collaboration, modern security, and self-service analytics. Don’t worry if it sounds like gibberish to you. In this article, we will discuss preparing for your first reporting implementation so you are able to select the best reporting tool to navigate your organization in managing and analyzing data.